WILLEMSTAD - The 47-year-old Eugene Rhuggenaath is likely to be the new Prime Minister of Curaçao. His liberal political party Partido Alternativa Real (PAR) won on 6 of 21 seats on Friday and is now the biggest party to form a stable government. The most obvious coalition partner is the social democratic party MAN of former Prime Minister Hensley Koeiman, who achieved five seats. 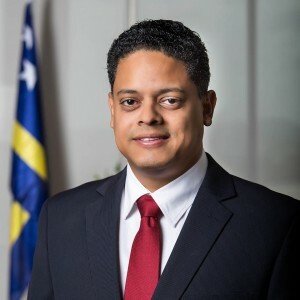 Curaçao, which has an autonomous status within the Kingdom since 2010, according to the Dutch Member of Parliament Ronald van Raak (SP), chose for the Kingdom and against corruption. Otherwise formulated: for the democratic parties and against the "mafia parties". The latter remark is, in particular, a reference to the anti-Dutch politician convicted of corruption, Gerrit Schotte and his party MFK. Rhuggenaath studied Business Administration in Miami and at the Rotterdam School of Management. He has been active in politics since 2003 but retired from politics in 2009 after a conflict with his party. In 2015 he was retrieved as a “lost son”.